In July 2016, Abbot made an announcement that the FDA had approved the new Tecnis Symfony ® Intraocular Lenses, designed for treating cataracts. The Tecnis Symfony lenses are a new variety of IOLs (intraocular lenses) that allow the patient to enjoy a complete range of consistent high-quality vision after a cataract surgery. Besides facilitating broader vision access to cataract patients, Symfony IOLs also minimize the impact of presbyopia and help an individual to focus on nearby objects. The approval given by FDA includes a variety of the Symfony IOLs designed especially for astigmatic patients: the Tecnis Symfony Toric IOL. Patients who choose a mulifocal lens implant will have a decrease in their dependence on glasses after laser cataract surgery. In order to insert the Symfony IOLs in your post-surgery eyes, the doctor will first remove your natural eye lens by making a small incision in the cornea surface. This is followed by the insertion of the Tecnis Symfony lens (the cataract-affected lenses are permanently replaced). The entire procedure of putting the Symfony IOLs in your eyes takes just about 15 to 45 minutes. You will likely notice an improvement in your vision instantly. A clinical study was conducted on to compare the visions of patients using Symfony IOLs and those using the traditional IOLs. The results of the study revealed that Symfony IOL patients showed a lot more improvement in their near and intermediate range vision and continued to maintain the same distance vision. Further, the need to use contact lenses after surgery was a lot less among Symfony IOL patients and they had improved visual sensitivity in all lighting conditions.  Provide uninterrupted day and night vision: patients are able to enjoy a sharp and clear vision at near, far and intermediate distances.  Ensure low incidents of glare and halo that are perceived as blurring or rings circling bright lights. Halo and glare can sometimes interfere with night-time driving and the performance of other visual activities.  Provide high-quality vision: patients are unable to have a clear focus with some IOLS due to opposing light wavelengths that pass through the IOLs at varied angles. Also, vision could be unclear due to spherical aberration (lens shape). Symfony IOLs have been designed to rectify these problems. 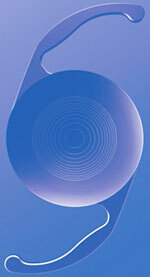 Doctors suggest that patients who will undergo laser cataract surgery are good candidates for Tecnis Symfony IOLs.